"He feels as if he did something wrong; we told him, 'From this point on you will be loved.'" 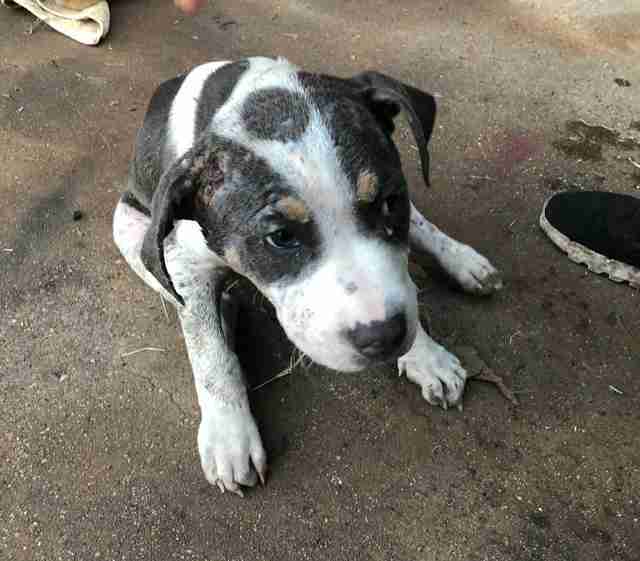 No one knows exactly why a tiny brown and white spotted puppy was lying by the side of the road near Fort Worth, Texas — but he certainly was relieved to see a friendly face. 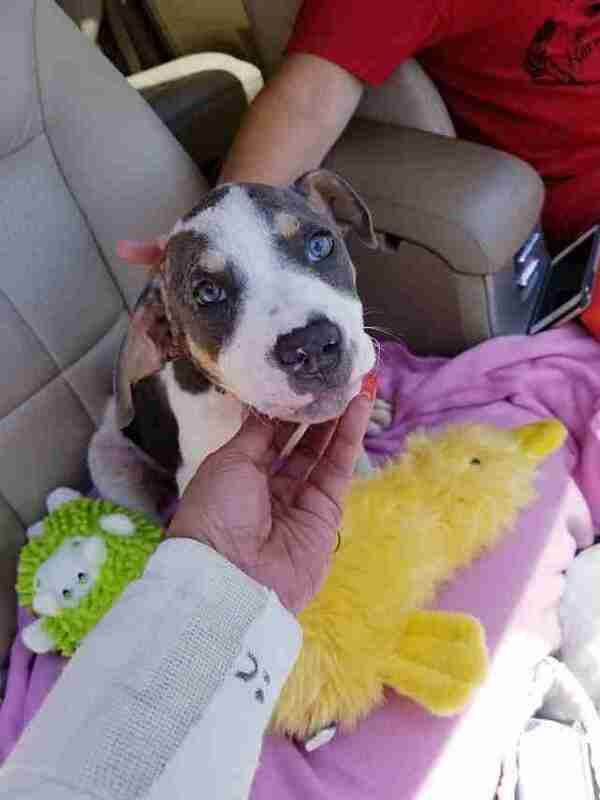 Judy Obregon, founder of local animal rescue organization The Abandoned Ones (TAO), believes that the dog, who is now named Ray, was probably left there to die. It wouldn't be the first time. The area around Fort Worth's Echo Lake Park is an infamous dumping ground for unwanted pets, mostly dogs. And Obregon founded TAO to help save their lives. When Obregon first saw Ray, she realized that something was wrong with his back legs. After a visit to the vet for an examination, she got some more clues about the 3-month-old puppy's past. "In all honesty [it's] too sad to post," Obregon wrote. "Let's just say he was not hit by [a] car. His little body suffered in the hands of evil: old and new bite wounds and infection, etc." 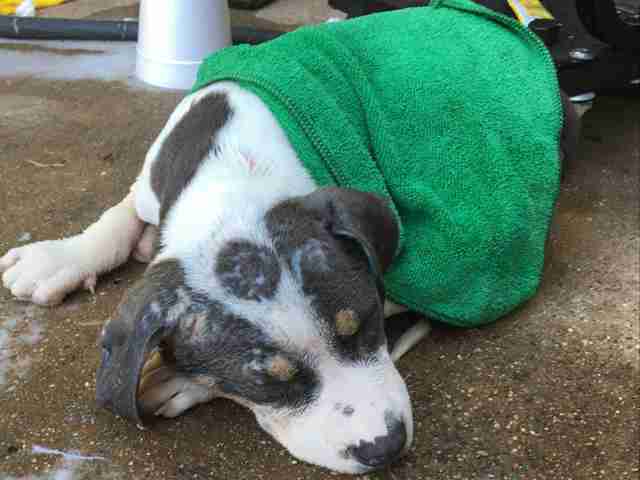 Some of the dogs dumped at Echo Lake Park have shown signs of being abused, even signs of being used for dogfighting. It's possible that in just his first few months on Earth, little Ray saw the worst of what fate could have dealt him. But Obregon works hard at staying positive — and helping others be optimistic, as well. "We are gonna keep the faith that this little precious soul we are calling Ray will come out with his head up high and walking," she wrote. 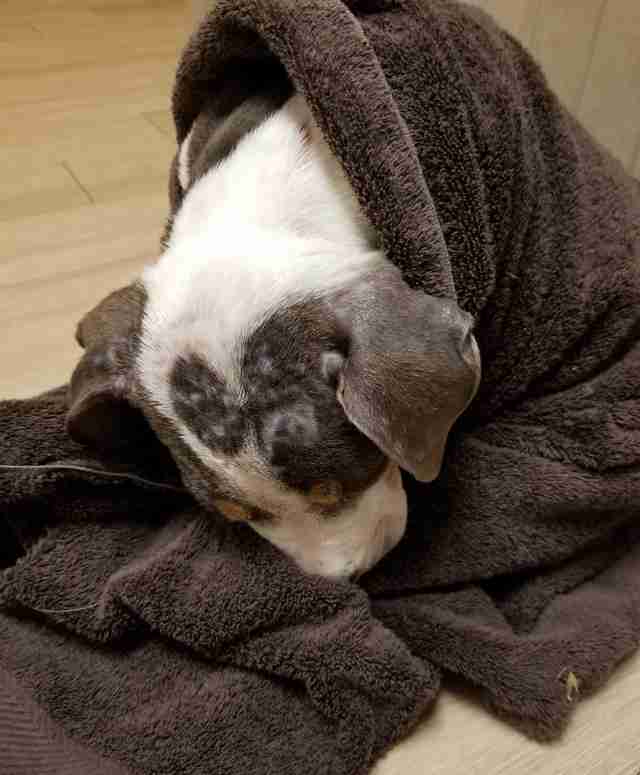 It was clear, when Ray was at the vet, wrapped up in a towel, that he was going through so many emotions. 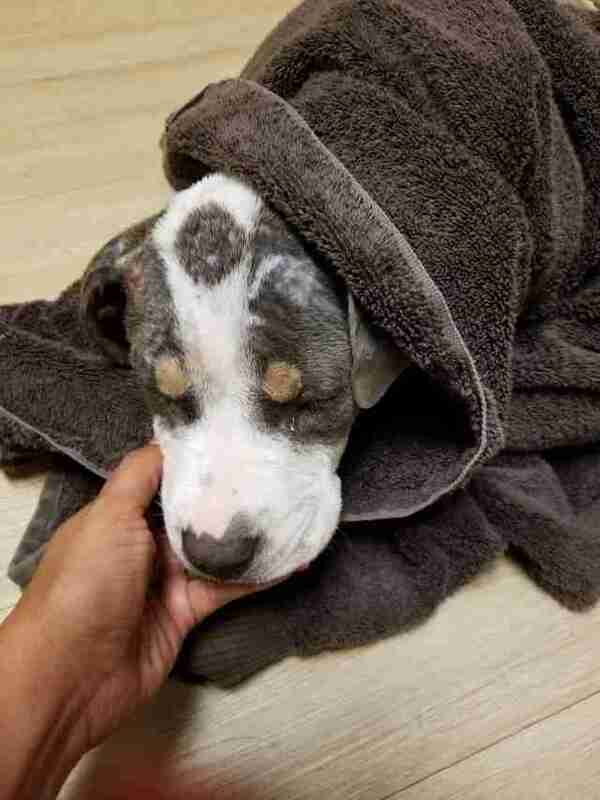 Being treated kindly after being treated terribly was almost too much for the little puppy to comprehend. "He feels as if he did something wrong," Obregon wrote. "We told him, 'From this point on you will be loved.'" Soon, little Ray started showing signs of strength — he chowed down on his dinner enthusiastically, which made people hopeful that he'd pull through. Soon Ray was lifting his head, instead of hanging it down as if he'd done something wrong. 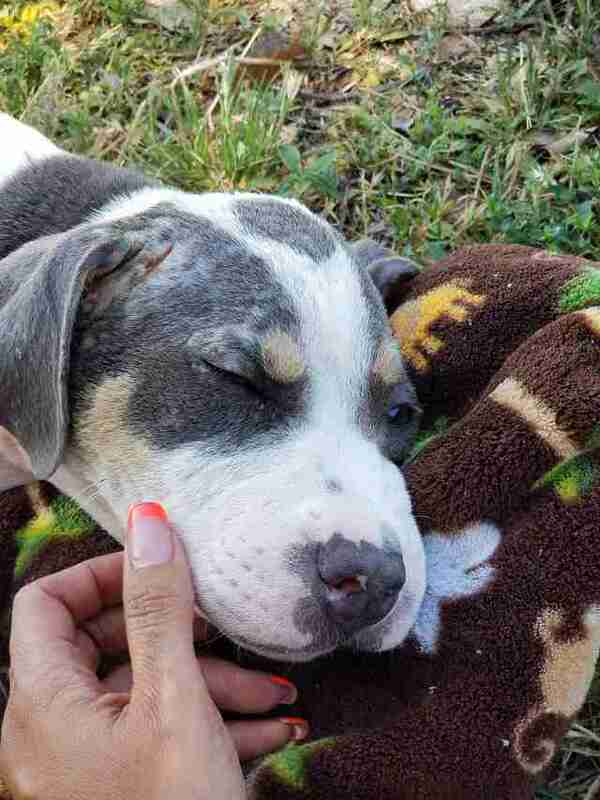 And rescuers got a chance to glimpse his beautiful blue eyes. This pervasive optimism around Ray started to make a real difference for the little guy. Soon he was starting to move around a bit more. When he was allowed to sit outside in the grass, he sniffed the air and looked around, almost in disbelief at his luck. Some encouraging pats from people helped him realize that he really did deserve a nice life. Day by day, Ray made big strides — literally. 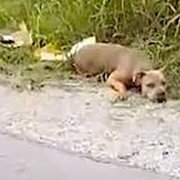 The puppy who hadn't been able to even move on the side of the road started actually walking on his own — ​​​​​​and even wag his tail. "What a wonderful feeling to see his tail wag," Obregon wrote, "[and] his head held high." 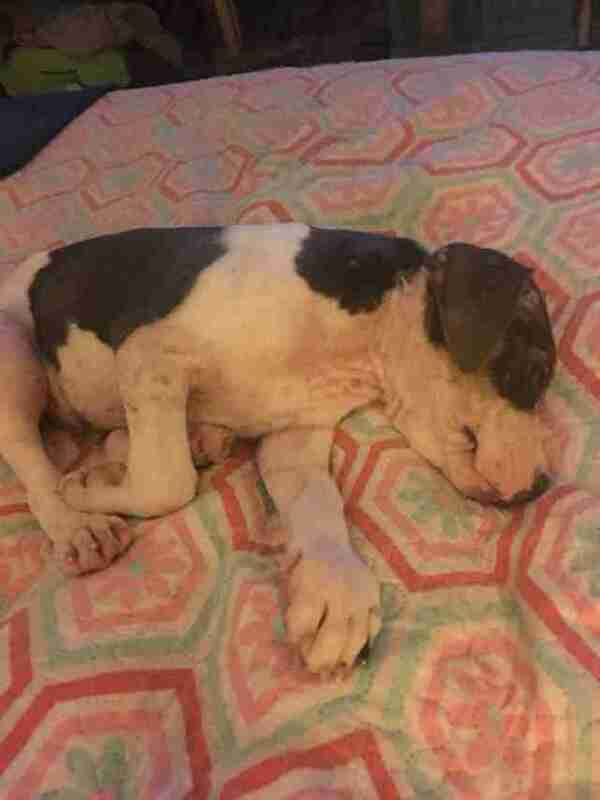 Now at a foster home where he's recovering, Ray is able to play and play until he falls asleep on a plush quilt — a far cry from where he was found. His rescuers thought Ray would have to be fitted for a wheelchair — but he is quickly proving them wrong. "While we have some wheels to be fitted, it looks like Ray is showing us he's got this," Obregon wrote in a very excited update. "We do believe in miracles! Seriously can't even focus just thinking about him." Ray will be given all the time he needs in foster care to recover from what he's been through — then he'll be looking for a permanent home. And, thanks to the people who believed in him, it looks like Ray is starting to believe that he truly deserves one. To help TAO give more dogs the homes they truly deserve, you can donate money or supplies.